Kids love anything that makes noise, talks, or sings. And with today’s technology, there are some pretty cool toys out there for the younger set just beginning to familiarize themselves with technical gadgets. However, since many of these toys work through the Internet, does that mean that hackers could potentially hack into children’s toys, posing a threat to little ones? According to researchers, it’s more than a possibility. This has already happened to a company called VTech, who makes many learning toys for kids. 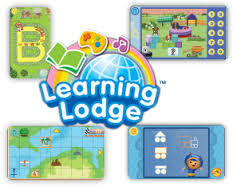 One of the company’s toys, Learning Lodge, came under attack via hackers and received data from millions of kids, including personal information like names and birthdates. Now, a newer toy called Hello Barbie, works the way a smartphone does and allows kids to talk to Barbie. However, tech experts say there could definitely be a security breach, allowing a Learning Lodge situation to happen all over again. One expert has already claimed to have hacked into the toy, much to Mattel’s dismay. In fact, the toy could allow hackers to listen in on conversations, which is not only scary, but very dangerous to young children and their parents. So, why aren’t our kids’ toys safe, and what can we do to ensure our children’s safety when playing with Internet toys? Mattel, the company that makes Hello Barbie, has heard what researchers have to say and taken parents’ fears into consideration. Mattel has a team of researchers on the payroll who have one job: to find out how they can hack Hello Barbie. So far, the toy has been deemed safe, (Mattel is downplaying the hacker that has broken into Hello Barbie as an isolated case) but there are countless other similar toys that parents are worried about being vulnerable to hackers. When you think about it, we are all vulnerable-not just kids. There are so many “smart” devices out there that we use, connected to the Internet, that could not only provide potential hackers with our names, addresses, social security numbers, and birthdates, but provide accurate information about our daily whereabouts, which is just terrifying. Experts say that makers of smart products aren’t putting the security and privacy measures in place that must be used to protect consumers. Will things change? According to security researchers, anyone, even with a rudimentary hacking skill set, could bust into a smart toy and get information. The companies need to step up the level of protection used to guard information, which is now fairly basic at best. Does that mean you shouldn’t purchase smart items or smart toys for your children? Not necessarily, but there are precautions you could take. Read privacy statements carefully before you decide to register kids in order to play with smart toys. Since one hacker has already broken into Hello Barbie, that may not be a good toy to give your kids for Christmas. Encourage creative play instead. LEGOS are still fun, as are action figures and other “old-fashioned” non-smart toys. Maybe we should keep smart toys away from our kids until the toys actually become smart.